The NovaTech Cloud service can remotely run all of your selected applications and programs without involvement from your staff. Our data centers are a proven resource with independent audits and service agreements to meet your specific requirements. One of our most popular services is setting up companies of all types in the Cloud, which allows them the freedom and flexibility to operate in a mobile and distributed business. We have medical practices where providers can access their selected EMR system from office, home, hospital, and their clinic. We have property management companies able to control access and management of leasing offices in properties throughout their geography. We have law offices managing their disaster recovery setup in the event of a significant impact to their physical office. We have CPA firms able to access their eMail from any device and any location. There are many ways to take advantage of “Cloud Computing”. NovaTech Services will design your most effective configuration utilizing the most cost effective options. 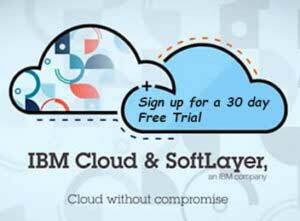 Many Cloud computing options exist including IBM SoftLayer, MicroSoft, Google, Amazon, and many others, each with a myriad of choices and solutions. NovaTech will help you select the right option for you with as much control as you choose. Connections to the Cloud service will be defined giving you confidence in the simplicity, security and accessibility.